Our wide range of oil separators, valves for the engine block breather, the fitting hoses, boost pressure valves, control units e.g. for fuel pumps and many other special items in the area of motormanagement of the brand at autoteile germany let the engine run smoothly and calm. 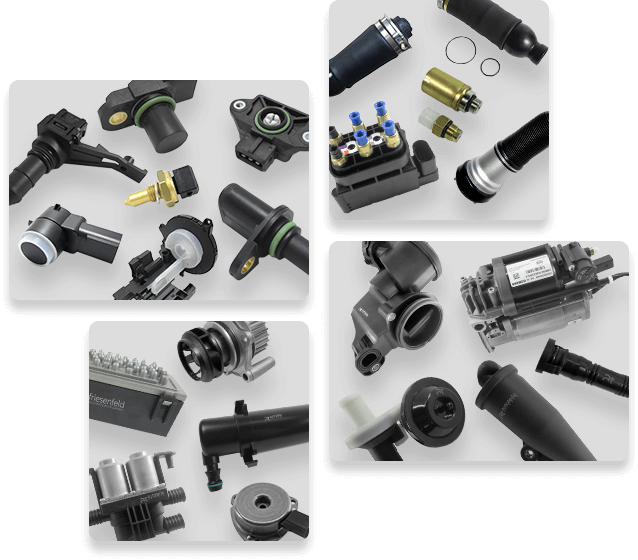 Also here we offer many parts from Original Equipment manufacturers in our at-OEM-Quality-Line.